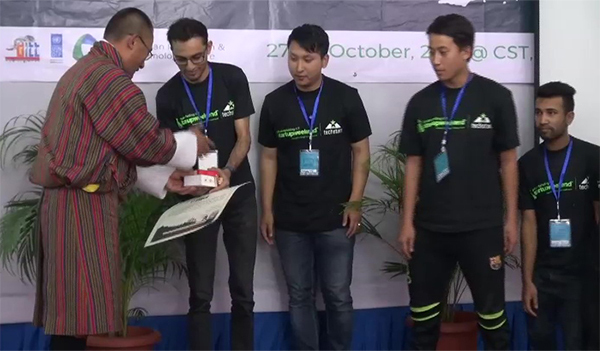 An online logistics platform to deliver parcels was picked as the best business idea during the Techstars Startup Weekend at the College of Science and Technology (CST) in Phuentshogling yesterday. Startup Weekend is a 54-hour weekend event during which ideas for new startups are pitched. It enables anyone to turn ideas into reality and become entrepreneurs in just 54 hours. Pema Singye’s idea to build a milk cream separator that could run on solar power bagged the second spot. “My parents are highlanders and while the government has provided machines to churn the milk, it has to be operated manually and is time consuming,” said Pema. The event was organised in collaboration with Techstars Startup Weekend, the Department of IT and Telecom under the Ministry of Information and Communications, UNDP and CST.